If you’re taking driving lessons in Edinburgh, then you’re probably learning to drive in all sorts of different traffic situations, and this is great because it will help you to become a better driver. You’ll also be dealing with all sorts of weather conditions during your time with your Edinburgh driving school (hopefully that’s us!). 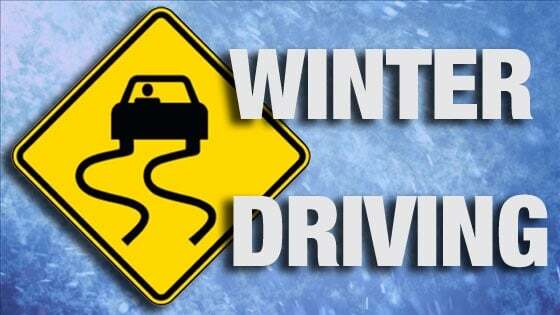 We know how deceptive and treacherous winter weather can be, and today we’re going to talk about winter weather and give you some tips on driving safely. Keep in mind that the more practice you get on the road, the better your driving will get. By doing this you are preparing your car for bad weather, and making sure that should you be caught out in hazardous conditions, your car is more than ready to deal with it. Your anti-freeze is important for freezing weather, and if you don’t bother to invest in some, you could end up shelling out for new engine which will cost you a lot more. When you’re dealing with poor weather, you need to make sure your visibility is as good as it can be. Make sure your lights are clean before you start off on any journey. Clear snow from the lights as well as the rest of your car. You’ll need to use your headlights and fog lights once visibility is poor, but always remember to switch them off once the visibility improves or you could blind other drivers on the road. Here at Compass Pro Drive we believe in a thorough grounding in winter weather driving, so we’ll talk to you about that when you have your driving lessons with us. If you’re yet to start your driving lessons in Edinburgh, then get in touch and start your driving future with us. If you need a reliable, trustworthy and fully qualified driving instructor in Edinburgh, then you’ve find a whole team of us at Compass Pro Drive that are all qualified and experienced in teaching people how to drive, so you’re in safe hands. If you want to ask us about driving lessons, or anything that you’ve read in our post on winter driving tips, then get in touch, we’ll be happy to answer all your questions.